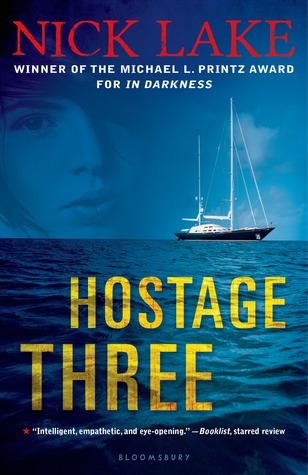 When my friend and colleague Carrie Gelson reviewed Hostage Three by Nick Lake on her blog, I didn’t hesitate to request it from the public library. Carrie and I often love the same books and I looked forward to reading realistic YA fiction. A gripping tale about a young woman who is kidnapped and held for ransom by Somali pirates. I thoroughly enjoyed it. 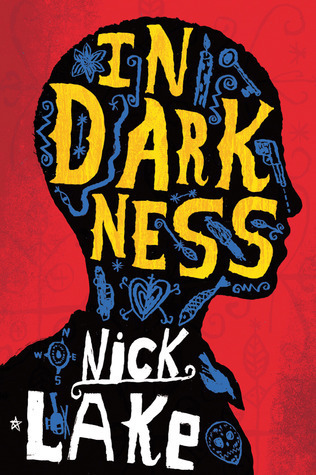 I recommended it as a read aloud to one of the grade 6/7 teachers. The tale of a young Haitian man trapped in a building after the big earthquake is told with the story of Toussaint L’Ouverature, a Haitian man who led the slave revolt against the French. I enjoyed it, but not as much as Hostage Three. Some parts were confusing. Some of the Haitian speech I found challenging to hear in my head. 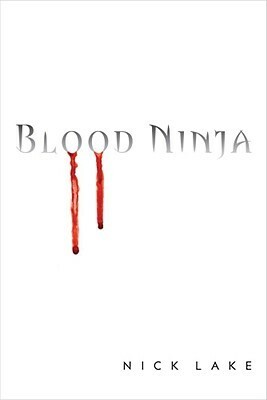 I was looking forward to another Nick Lake book and I do enjoy a good ninja story. Plus the cover is interesting. My nine year old kept asking me about it. The blood is pretty realistic looking. I didn’t read any reviews or even the blurb on the jacket so I was really surprised when one of the ninjas turns out to be a vampire. Actually, all the ninjas are vampires. I kept thinking, “Am I really reading a ninja-vampire combo book?” I didn’t abandon it, but I’m not bothering with #2 or #3 in the series. Just when you thought vampires and other scary creatures were just for the older kids, check out this little board book! Actually, Jennifer Adams and Alison Oliver’s BabyLit series is less fantasy and more classic lit. Nine titles in all, with accompanying swag. Wondering what to read after you’ve devoured the Twilight series? The Mortal Instruments is a highly entertaining series about Clary, a seemingly regular teen who is preoccupied by her mother’s strict rules, her best friend Simon, homework and crushes on boys. When Clary starts to see things other people can’t see and her mother disappears, Clary finds out that she isn’t so regular after all. Drawn into a strange and dangerous mystery, encountering supernatural beings – some friendly and many not, Clary begins to discover some secrets about her family and her past and a deepening attraction to Jace, a dangerous warrior who may or may not be trouble. Satisfying in a predictable way, not particularly well written, but with a fast paced plot, The Mortal Instruments is an engaging light read.